Oh my goodness, the North American Hemp Co. Body Lotion is one moisturizing body lotion. I’ve been using this during the winter, and this is easily one of the heaviest body moisturizers I’ve ever used (even heavier than Body Shop’s Body Butter, yes, it is that heavy). It comes in a tall rectangular bottle with a pump, and two pumps is enough to spread over each of my legs. It is scented of warm coconuts, like the rest of the North American Hemp Co. line, and I absolutely love it after a long day out in the cold. It is extremely moisturizing (like I repeated many times before), and takes a while for it to absorb – I would have to walk around my room for a few minutes before putting my pajamas on, otherwise it would transfer to my pajamas and I’d lose all of the moisturizing goodness. That is sometimes a bit annoying because it’s cold and I want to get wrapped up in my PJs but I can’t because my body lotion absorbs too slowly (#firstworldproblems). The North American Hemp Co. 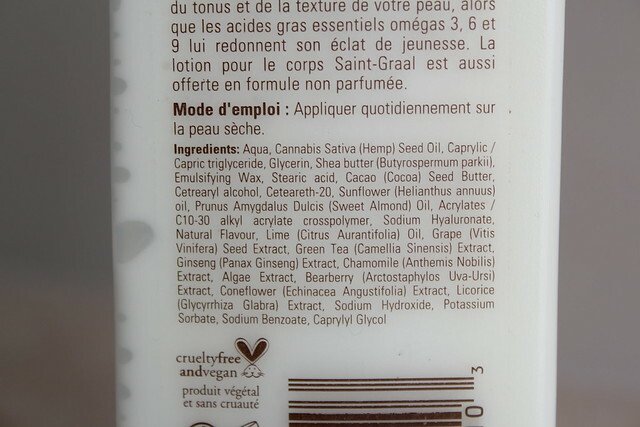 Body Lotion features hemp seed oil as the SECOND ingredient on the ingredients list, right after water. In addition, it also ha sunflower oil, sweet almond oil, lime oil, grape seed extract, green tea extract, and so much more awesome ingredients (see the complete list below). If you are in the market for a body moisturizer, or if you have extremely dry skin and need something that’s more than just silicones, I highly recommend you check out the North American Hemp Co. Body Lotion. It is affordable but extremely effective. You can purchase North American Hemp Co. products at London Drugs and other drugstores. Product provided by PR; all opinions are my own. 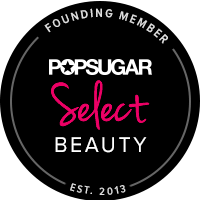 « SHOPPING | Sephora Favorites deluxe kits for travel and trying out new products!